Since 2003, the Brazil-Germany Symposium of Sustainable Development has been taking place in both countries alternately every other year. The first Symposium was held in Tübingen, Germany. The purpose of the Symposium is to present and discuss the differences and similarities regarding the sustainable development of two societies related to their cultural identity with the resources of the earth and its processes. The 2017 edition will be hosted at the Pontifical Catholic University of Rio Grande do Sul, in Porto Alegre, RS, Brazil. The theme of this edition will be “Facing human impacts: the challenges for society and for science”. 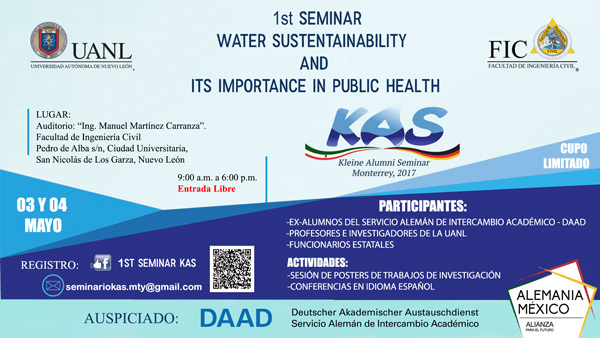 In this event, the scientific exchange between colleagues from Brazil and Germany in the field of technological innovation and sustainability is opportune. The focus is mainly on issues related to energy, water, soil, climate, biodiversity, agriculture and forestry, politics, economics, resource management and future cities. Time: 9:00-18:00 Hours, Free entry, Limited availability.